After focusing mostly on the final production details of the MODINICE M1, we now look forward to significantly raising public awareness of MODINICE in the near future. Right now, we are very busy preparing for this year's CeBIT, where we will have as many as two booths of our own. Over the past few weeks, we have been working very hard on improvements to our website and our online store because we have been experiencing high consumer demand since our campaign launch. We did not expect this to happen because we and our wholesale partners had focused on larger quantities. Ever since our campaign launch, we have been receiving messages from potential customers in Germany, Austria, and Switzerland every day, and these people are asking us where they can order our PCs. Consequently, we are pleased to announce to we have been accepting orders through our store since 1 March 2016. Just a few minutes after the store's launch, we received the first order – from Austria! 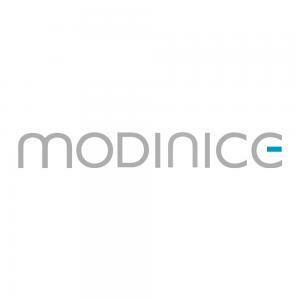 We have already registered MODINICE as a trademark at the German Patent and Trade Mark Office. To protect our brand during our planned expansion to additional international markets, we have now applied for trademarks in the U.S., in Taiwan, and in China. In this way, we will ensure that our innovative product will also succeed in those markets. Focus Money is one of the most important financial magazines in Germany. In issues 8, 9, and 10 of this magazine, readers could find detailed information on MODINICE, our M1 product, and the investment opportunity on Companisto in an advertorial. In addition to achieving a nice branding effect for MODINICE, we have reached many potential customers through this advertorial because the magazine's high circulation causes it to reach a large number of people.